India has millions of Hindu deities and as a way for Indians to worship their gods and goddesses, they offer food and many flowers. 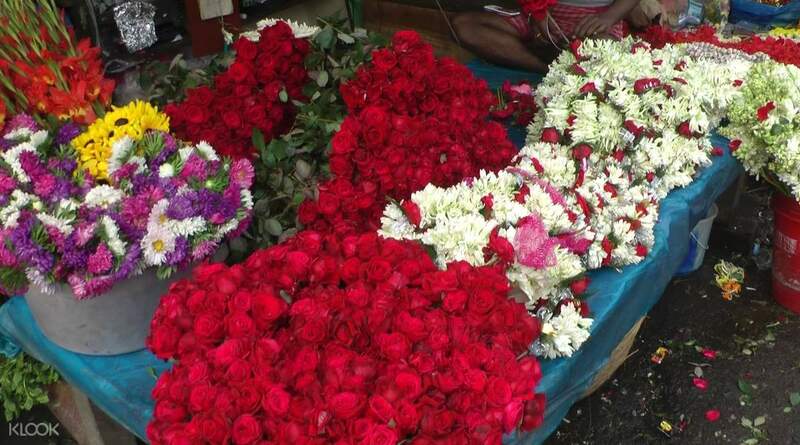 Flowers are an intrinsic part of hindu worship and rituals; the sweet and pleasant smell of fragrance from these flowers pleases the deities, therefore, the worshiper will be showered with blessings. 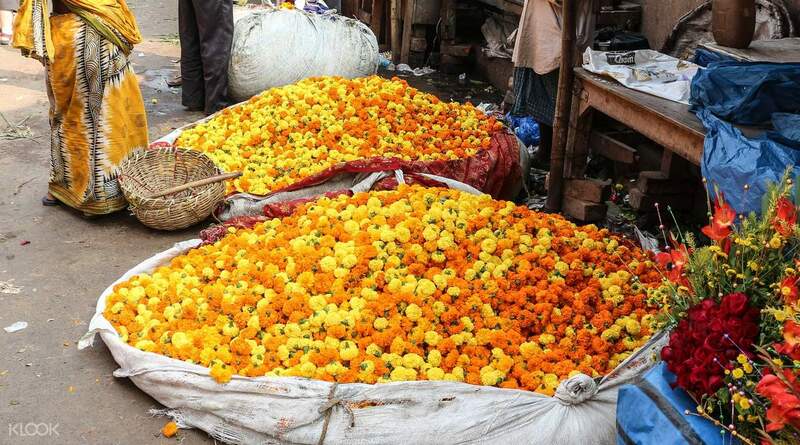 Visit one of Asia's largest flower market in Mallick Ghat in a 3-4 hour morning walk tour. Mornings are the best time to see the true colors of a city, and the best time to experience the authentic day-to-day lives of the locals. Be in awe as you walk through millions of cut flowers of vibrant colors and vendors in their loud and boisterous voices and frenzy energies. Maybe even buy a few for your own. After all the craziness from the market, you'll head to a more relaxing site to the Howrah bridge for some Masala Chai Tea by the riverside. This tour will also take you to see some of the attractions in the town such as the Victoria Palace and the St. Cathedral Church. Get to discover the authentic side of the City of Joy in this morning walking tour.